One of the most powerful and effective branding exercises you can do for your business is to develop a positioning strategy. 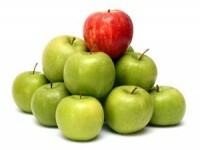 A positioning strategy is what differentiates your business from any other brand. It is the image that you are trying to create in the eyes of your customers. Positioning focuses on the target market segment you are seeking to serve and the differential advantage with which you will compete with rivals in that segment. Ferrari, for example, is a brand which is positioned in the prestige segment of the car market and has a differential advantage based on high performance and exclusivity. Domino’s Pizza, on another hand, originally positioned itself with the strategy ‘delivered in 30 minutes or it’s free’. Rather than attempting to sell pizza like every other business in their market, they got the public’s attention by selling delivery. Obviously Domino’s had to be sure that the infrastructure was in place to make good on their promise. But as people stood at their doors hoping their pizza would arrive for free at 31 minutes, Dominos’ positioning strategy worked and the brand gained immediate attention. So what can you do to stand out from the crowd? Your positioning strategy should directly address your customer’s desires and your target segment. It should be clearly defined in the marketing plan and will have an important impact on your marketing mix. It will dictate the type of product you’re selling (ie. high quality, low quality etc), where it will be sold, how much it will cost and how you will reach your target audience. A positioning strategy is not simply a fluffy slogan, it is a serious promise to your customer to perform. It tells them why they should give a damn about your company. Positioning, when done correctly, can be both powerful and empowering to your employees. Once established, the brand must live up to their promise. As long as it is authentic, then it won’t as daunting as it might appear. Often, the most effective positioning strategy is also the most simple. Be creative and think outside the square. Always remember though, that a great positioning strategy is NEVER price but is the reason that you are a leader. Everyone follows the leader. Perception is reality, so the perception on the street has to be your strongest offer. Work together with an Oculus business adviser to determine how you can create a positioning strategy and successfully position your business the market.